Most cities have large open markets that lend a unique characteristic to the trade culture – just think of the Chatuchak Weekend Market in Bangkok, Thailand, and Jemaa El Fnaa in Marrakech, Morocco. In Ghana, nowhere else do you experience the full scale of trading and the accompanying culture as in Makola Market. As you walk around Makola Market, you’ll be treated to a variety of different sights, sounds and smells. Rare Ghanaian ingredients fill the air with their sweet, zesty scents; vintage imported clothing hangs in many of the stalls, and crowds of customers spill onto the narrow streets. This historically rich and culturally significant market, located in the heart of Accra, was built in colonial times at the turn of the 20th century. It’s the heart of all commercial activity in the city, with tons of manufactured products, imported clothing, farm produce, specialized services and millions of cedis in revenue flowing through the expansive market every day. Sometimes referred to as the Central Business District, it comprises a series of interconnected compartments, south of Jamestown, one of the original settlements in Accra. 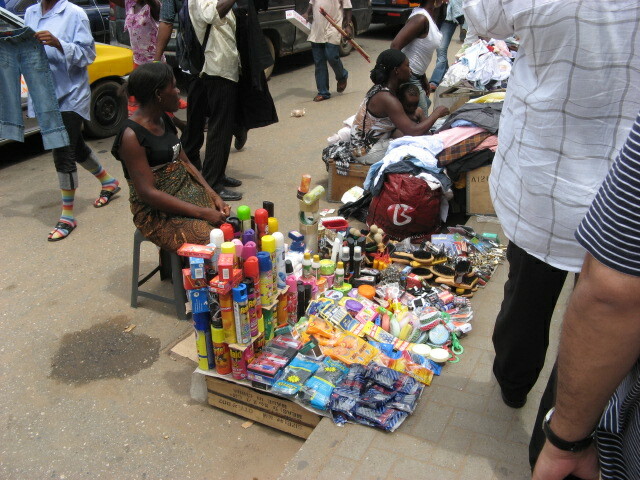 These quarters, like Kantamanto (the largest second clothing market in Ghana), Okaishie, Rawlings Park and Cowlane, segregate the market into distinct sections, where specialised goods and services can be found. Historically, Makola has occupied a strategic position in Ghana’s political and economic development. During the 1948 riots, various shops in Makola belonging to foreign merchants were looted in the protests and the subsequent struggle for independence. Also, portions of the market were destroyed by military ruler Jerry J Rawlings in 1979. The government blamed the market queens for causing artificial shortages to spike their profits. The space was then used to build a much-needed car park, known as Rawlings Park, to serve the needs of both traders and visitors. Today, despite the existence of many other markets and shopping malls in Accra, it is still the centre of trade activities, with thousands of people from far and wide to buy and sell. Agricultural produce from the other regions of the country and other countries, like La Cote D’Ivoire and Burkina Faso, come to Makola before they’re distributed to smaller markets in the city. The major sections remain open all week round, from 6am to 8pm. The busiest days are Wednesdays and Saturdays, when most of the shops restock their inventories. When visiting, whether for sightseeing or to make purchases, it’s advisable to find a guide, as most of the streets tend to be crowded with hawkers and pedestrians competing for space on the narrow pavements. Also, the subsections are not well labelled, so it’s easy to get lost in the crowds while searching for something to buy. Be mindful of your possessions, because pickpockets are common. Also, avoid wandering into enclosed spaces, as most of the business in the markets takes place in the full view of the public. Shopping in Makola also requires patience if you want to get the best prices. Due to the competitive nature of the market, traders employ aggressive means to lure customers. But be patient, and carefully inspect whatever it is you want to buy, then negotiate for a good price. 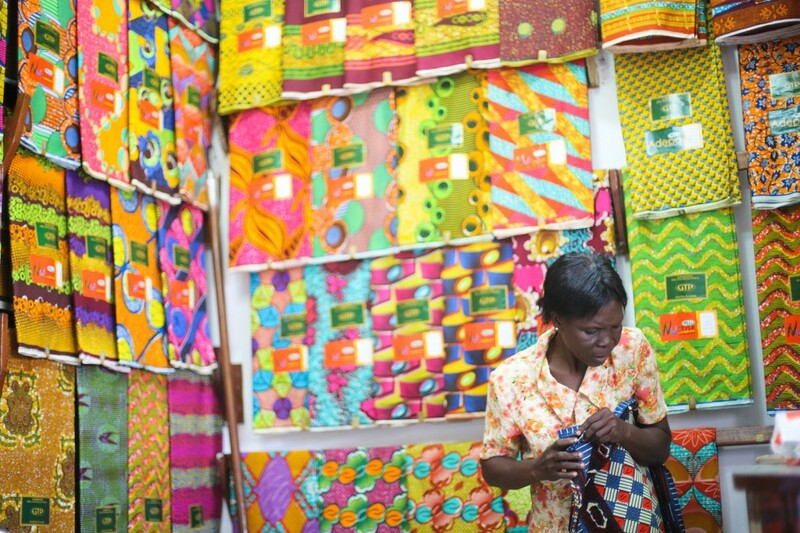 Places you should not miss when visiting Makola Market include Kantamanto, Ghana’s largest second clothing market. Here you can find all sorts of clothing items like winter jackets, work overalls, Kente cloth, vintage sports jerseys and cowboy boots. When tired from roaming the market, you can visit the food stalls at Rawlings Park to enjoy some of Accra’s indigenous cuisine, and also view the memorial garden built in honour of Nii Tackie Tawiah III, one of the chiefs of the Ga people (inhabitants of Accra). 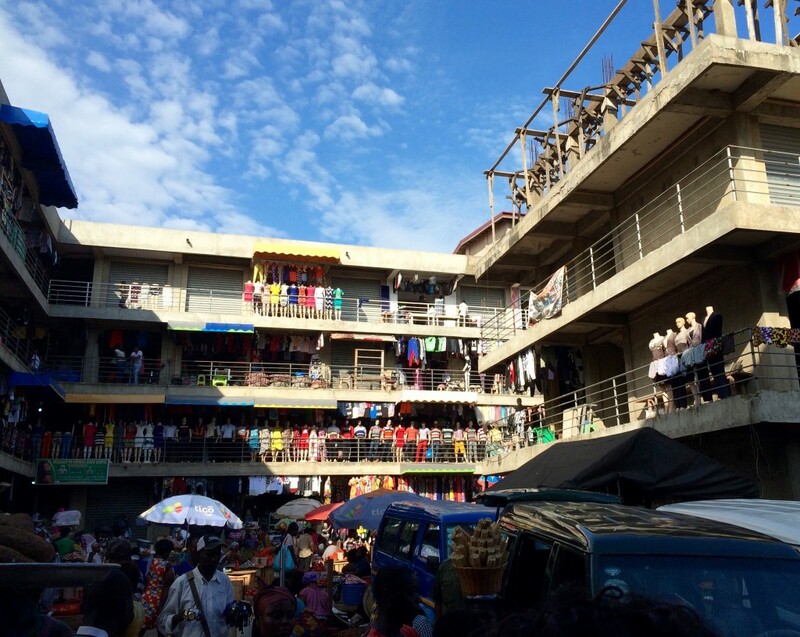 Makola Market can be overwhelming, especially for someone who’s never visited it before. There’s no welcome sign or directions to guide you, so you can easily get sucked into the hustle and bustle. But, ultimately, if you get to know the people and explore all the market has to offer, you’ll find it well worth your time.